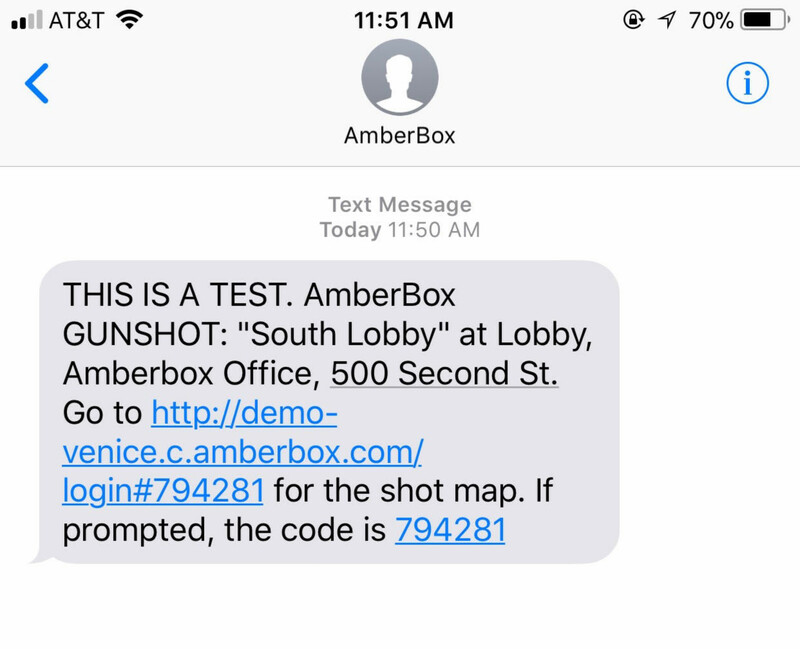 As part of our latest software update, AmberBox Gunshot Detection offers pre-authenticated links to the response platform, within SMS or email notifications. In the event of a system activation, key security personnel receive real-time notifications on rapidly evolving active shooter situations via SMS and email. Such notifications include a link to the AmberBox response platform, where more comprehensive event details can be accessed. As part of the update, such links will now be pre-authenticated, with no need to login, allowing them to view the platform on a cellphone or other browser. Security team members are directly shown the real-time view of the unfolding situation. The ability of recognised users to access the AmberBox response platform without having to input their own credentials, aims to further reduce response time and human error in an emergency situation. It removes the time delay created by logging into the system, permitting access to vital event data faster, to coordinate first responders and security personnel. Additionally, pre-authentication removes the risk of users either forgetting or incorrectly inputting access details, preventing them from gaining entry to the incident data. When seconds can make a significant difference to attack severity, ensuring key team members, and law enforcement, have access to the maximum volume of situation intelligence is crucial. This allows first responders to arrive on scene faster, equipped with the vital information needed to contain threats and mitigate casualties. Pre-authenticated requests provide a way to facilitate user access to the browser based response platform, via an encrypted connection, without having to remember or record their own credentials, as long as the request creator has established permission. Upon detection of a gunshot, incident notification alerts are issued by call, SMS and email, to designated security representatives, in under 3.6 seconds. Such notifications include instant intelligence on gunshot detection locations in real-time. In addition, they contain a link to the cloud-based AmberBox response platform, where designated personnel can immediately view comprehensive, ongoing gunshot location and timing data, track perpetrator movement, classify event nature and respond immediately to an active shooter incident, with pre-programmed security features. This facilitates accurate coordination of the emergency response, to maximize effectiveness.